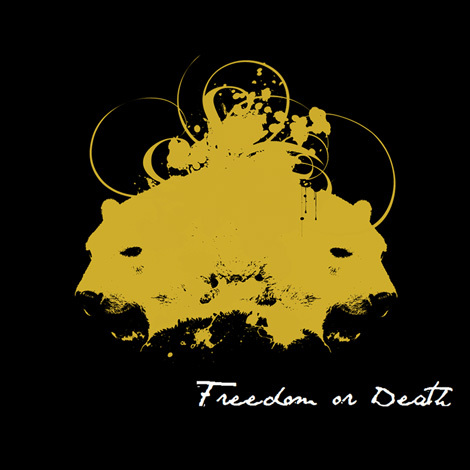 I’d like to introduce you to the Toronto band Freedom or Death. Taking their name from the war cry of the people of Greece during the 1820 Greek War of Independence, the duo are a guy named Fernandez and another named Sway; two music industry vets who met while working at a major label. Believing that there’s no substitute to having the freedom to make music and make the artistic choices that they want, the band assumed all creative control, writing, producing, recording and performing every song on their self-titled EP. The goal: to make an artists record. Not conforming to make something to appeal to the masses, but to make something completely from and for themselves. Now we’re getting a listen. Here’s the video (footage from Atanarjuat: The Fast Runner, a Canadian film from 2001).